Olivia, Bertucci, and Codman were the trio no one else in high school could quite figure out, an impenetrable triangle of friendship. Now they're graduating and about to start new lives away at college and without one another. Beyond their friendship, there's one thing they have in common: the Circle Cinema, a once-thriving old movie theater now reduced to a boarded up concrete box, condemned and about to be forgotten forever―which is, as far as Olivia and Codman can tell, a lot like what's going to happen to them. So in one last desperate effort to hold on to the secrets they share, Bertucci hatches a plan―an experiment, really. He convinces Olivia and Codman to join him in spending their last night before graduation locked inside the cinema's concrete walls. None of them can open the box before sunrise. Over the course of the night, the trio is then forced to face one another, the events of the past year, and whatever is to come when the new day dawns. 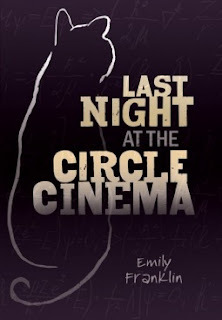 Emily Franklin's Last Night at the Circle Cinema is the story of a friendship's end and moving rebirth. Last Night at the Circle Cinema was an amazing and beautiful story, but I have to be honest and say that I was a tad frustrated with it. All I wanted to know was why they were at the Circle Cinema. The only person who knew the plan was Bertucci, and he was not letting us in on it. What was frustrating was that it seemed like Bertucci couldn't stop playing games for 5 seconds to spend time with his friends. I mean, from what I gathered, this is the night before graduation and they were under the impression that they were there to have one last hoorah. They should have been spending as much time as possible with each other, but they all kept separating and Bertucci kept disappearing. Once the ending came, it all made sense and was perfect. 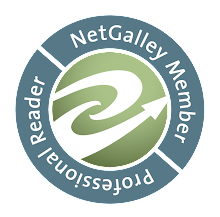 The characters were very different from ones I am used to. We have Livvy, Codman and Bertucci. They are three best friends who do everything together, but are extremely different from one another. Livvy is the only girl, which makes her our leading lady, but yet I couldn't really relate to her which was extremely weird. She is a very shy girl and although she has two best friends, whom she's known for four years, she still feels extremely self conscious that at any moment they will abandon her. No matter what, she never feels like she is 100% part of the group. She is intrigued, yet terrified of these boys. The best part about Livvy, though, is that she is the selfless caregiver. She never thinks about herself, and is always there for Codman and Bertucci. Strangely, Codman is the one I related to the most. Sometimes he just doesn't know what to do with himself or his feelings, and he just retreats into his thoughts. I have a bad habit of this. The difference between me and Codman is that I like to eventually confront things, he doesn't. I would also never abandon Livvy like he did. Codman is a bit selfish. He feels like he is the only one looking out for him so, he tends to put himself first. Bertucci is the most unique. I don't think I have ever met a character like Bertucci before. He is always coming up with these crazy schemes, and dragging his friends along with him. On one hand, he has this charade of putting himself out there and not caring what people think of him, but on the other hand you look and realize that you have no idea who this guy is. You never truly KNOW Bertucci. Finally, the impending ending. The ending is what made everything about this book make sense and be an amazing read. The entire time I just wanted to know what the hell the point was of meeting up here if no one was going to spend time together. I mean, all they did was go off by themselves, think, and reminisce. Then the ending happened and I understood everything. The problem was that once I knew, I wished I didn't. I just wanted to go back to reminiscing. It was just so heart wrenching and beautiful at the same time. Absolutely beautiful! Last Night at the Circle Cinema was extremely well done, and I never saw the ending coming. I was so frustrated at first, because I couldn't understand why we just kept reminiscing about the past. I mean, they are seniors who are about to go their separate ways, but it was still a bit much. On the other hand, it was the only way to truly get to know the characters, because the entire book takes place in the span of 8 hours. Now, I know the reason for spending the night at the Circle Cinema and I almost wish I didn't. Truly beautiful.